Kraft, 62, held his breath as the verdicts were read shortly before 5 p.m. He was charged with bribery, unlawful compensation and conspiracy. His wife Stephanie Kraft was acquitted of the same charges last December, but in her case, the jury found her guilty of official misconduct. She’s appealing that verdict. After the final “not guilty” was read, Kraft embraced his lawyers, Kevin Kulik and Ken Padowitz, and his wife, who was seated in the front row of the gallery. 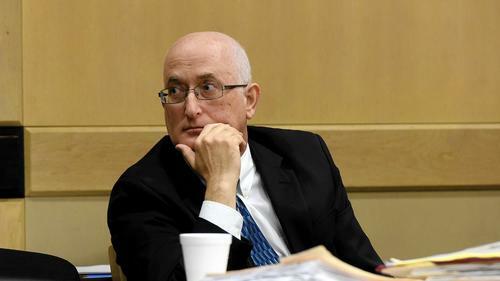 The verdict brings an end to a five­ year legal drama that shadowed Kraft and his wife ever since developers Bruce and Shawn Chait began accusing public officials of accepting their largesse to influence key votes in Tamarac, Broward County and the school district. Last week, the jury heard from Bruce Chait, who along with his son Shawn pleaded guilty to unlawful compensation charges in 2010. They were spared prison time and agreed to testify against the officials they admitted to bribing. The Chaits planned a housing development in Tamarac and were seeking, among other things, a reduction in the fees they would have to pay the Broward School District to compensate for the impact the project would have on local schools. The defense told the jury that the Chaits bribed other public officials in connection with their Tamarac project, but the Krafts were not among them. Mitchell Kraft received a fair payment for his consulting work, and he referred the Chaits to another consultant to handle the school board item, Kulik said. “The Krafts would never even have been charged with this crime if not for the word of the Chaits,” Kulik told the jury. He accused them of making up the allegations against the Krafts in order to sweeten their own plea deal. Bruce Chait said he hired Mitchell Kraft as a consultant, knowing he was married to a school board member. Prosecutors said Kraft used his wife’s position to get the Chaits’ reduced fee before the school board for a vote in July 2007. In exchange, Mitchell Kraft was paid $10,000, Assistant State Attorney Catherine Maus told the jury. “He brought his connection with his wife to the table for the Chaits,” Maus said. She said Kraft’s wife used her influence to get the item on the agenda, then walked away without disclosing her conflict of interest while other board members voted for the lower fee.